Honey Sesame Chicken is such a delicious, satisfying meal. It is one of my favorite freezer meals. 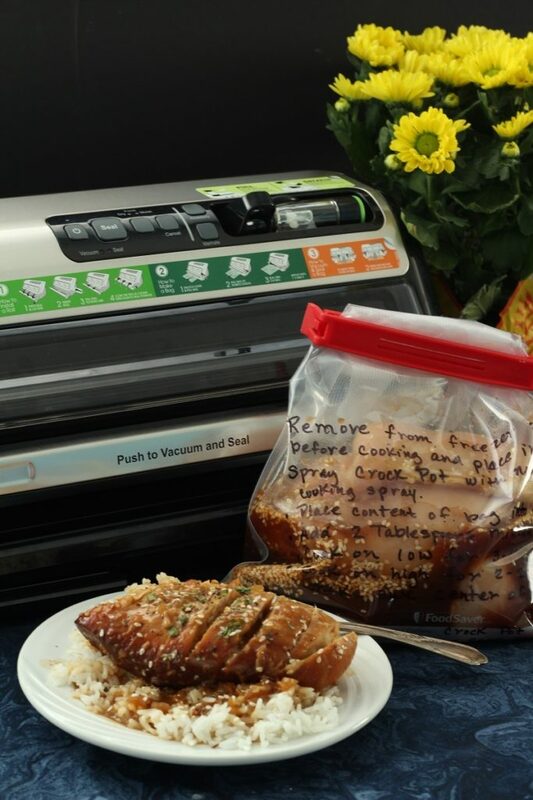 Since acquiring a FoodSaver® FM5200 Vacuum Sealing System and a FoodSaver® 11″ x 16″ Vacuum Seal Roll, 2 Pack, I make honey sesame chicken even more than I use to. Using the FoodSaver® System has extended the time that I can store freezer meals in the freezer. I am so happy and excited with the amount of time and money that I have been able to save by buying in bulk, as well as by preparing meals ahead. 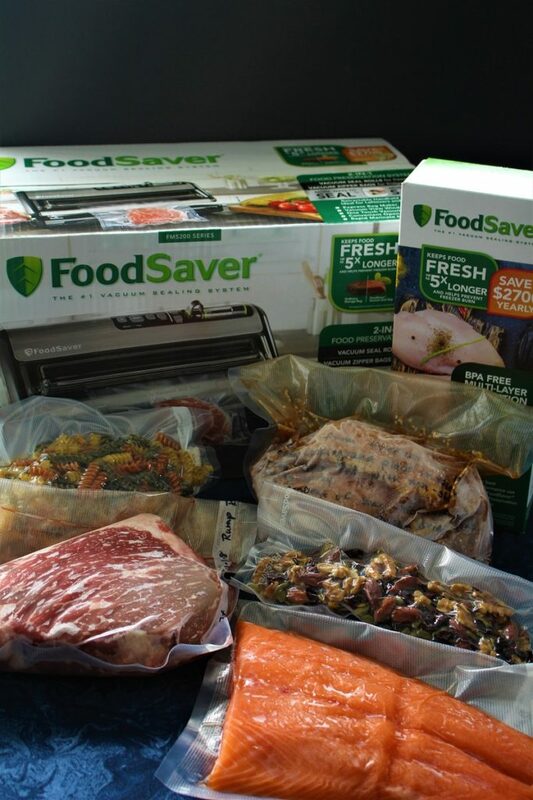 The FoodSaver® FM5200 has changed my life! 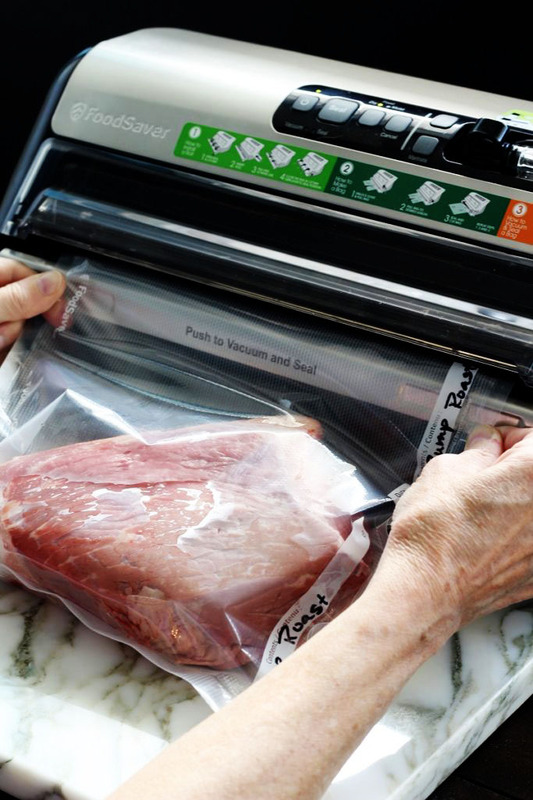 The FoodSaver® System includes vacuum seal bags and rolls, vacuum zipper bags and containers designed to work together with vacuum sealers for optimal performance. 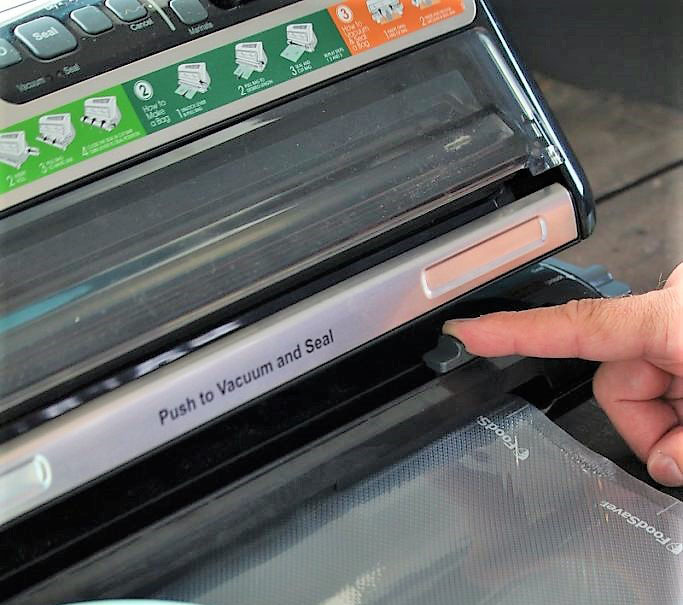 You will be amazed at how investing in a FoodSaver® FM5200 can save you time and money. Now that some of my children have moved out of our home, I have noticed that I still shop the same, but we end up having a lot of leftovers. We were struggling to get all of the leftovers eaten up before some of them spoiled, or the children that are still living at home got tired of eating the same thing for a few consecutive days. The FoodSaver® FM5200 has been my solution. Since I got the FoodSaver® FM5200 I have been able to make the larger sized recipes that I am accustomed to making, seal the leftovers (or sometimes I just divide the meal that I have made into smaller portions), freeze the sealed bags of food, and send them to work with my husband, daughter, or son, or use them at a later date. This way we are not even having leftovers; we are having a freezer meal that is just as good when brought out of the freezer and heated as it was when it was originally prepared. FoodSaver® keeps food fresh up to 5x longer* and helps prevent freezer burn (*compared to ordinary storage methods). This not only saves me money by helping to preserve the food longer, but I can buy in bulk which also saves me money. Another thing, my daughter and I are going to be doing some meal prepping, cooking ahead, and batch cooking on Saturdays. She has been dealing with some stomach issues and she is on a special diet. Not one that you can just eat whatever you can find. 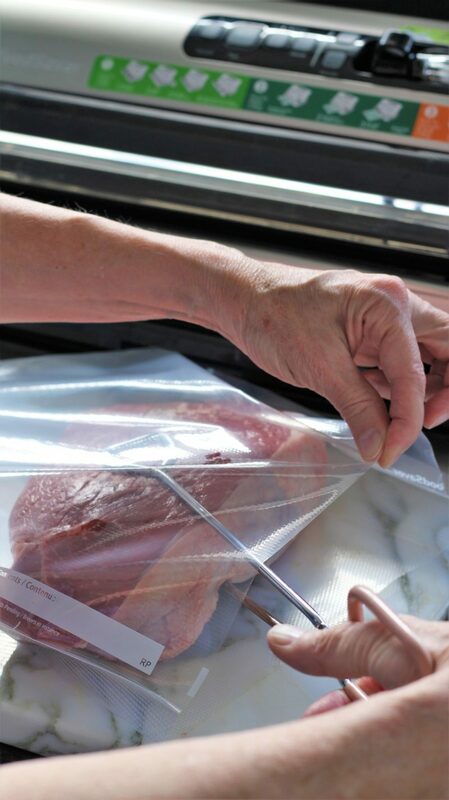 We will be able to prep our food on Saturday by preparing meat and other main dishes, sealing them, and freezing them, so the FoodSaver® will be such a blessing for her. The other day my oldest son who moved to his own home about a month ago, said to my daughter who just moved back home, “you sure do lose a lot of weight when you move out”. And she said, “I know, why do you think I lost 20 lbs”? This is not a good thing, because they are already pretty slim and trim. So I will be saving some leftovers. I love this invention!! 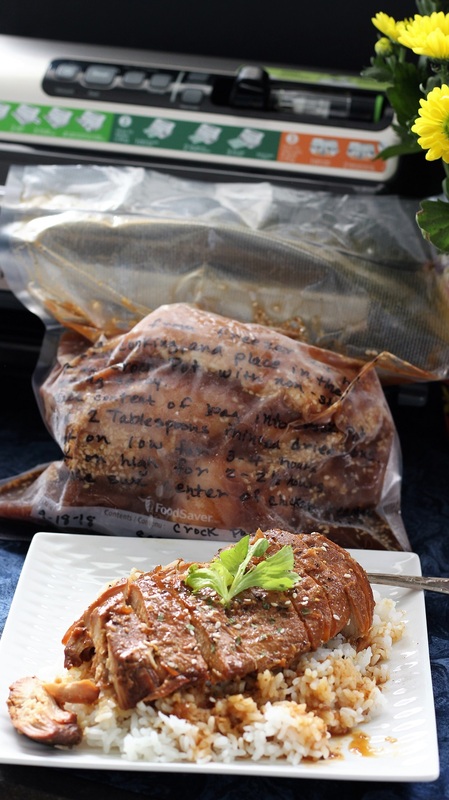 You can make a meal, seal leftovers, write the content and the date on the package, and freeze it! I realize my son can’t come over every night for dinner; however this is a genius idea and a great way to use up leftovers and to keep him from starving! Additionally, I have been busy making some meals ahead of time because we are getting two new grand babies, come the first of the year. My son and his wife are 2 1/2 hours away and my daughter and her husband are 30 minutes away. Now when I go to visit, I can pull these out, take them with me, place them in the crock pot, and spend time with my other grandchildren, or just sit and hold the new babies. I won’t be cooking, just enjoy wonderful grandchildren. Pretty smart if I do say so myself! Before actually sealing the bag, you need to pull out enough plastic to make a bag that is the right size to enclose the product that you wish to seal. After you have decided what size of a bag that you need, you slide the cutter across with your hand to cut the plastic. Finally insert the product that you wish to seal into your bag. 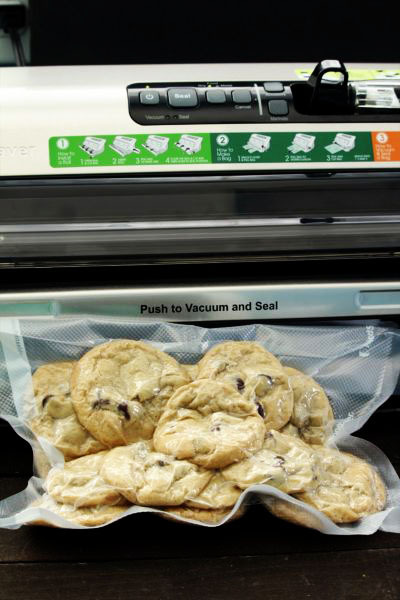 You are now ready to seal your bag and the FoodSaver® FM5200® is really quite simple to use. First, with both hands, INSERT the open end of the bag through the bottom of the Vacuum View Window into the Drip Tray. Second, with the bag in place, PUSH and RELEASE the Vacuum and Seal Bar with both hands. The Vacuum View Window will close and grasp the bag, which begins the vacuum and seal process. 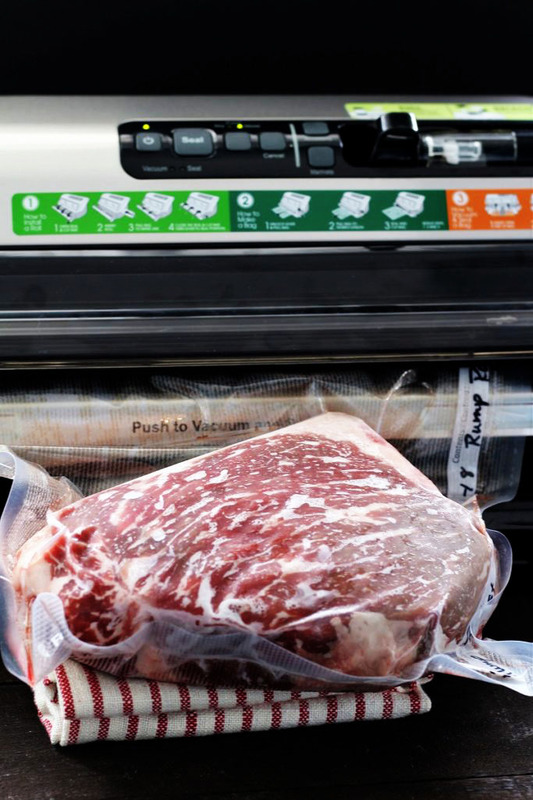 When the Red Seal light turns off, the vacuum seal process is complete, the Vacuum View Window will release and the sealed bag is ready for storage. 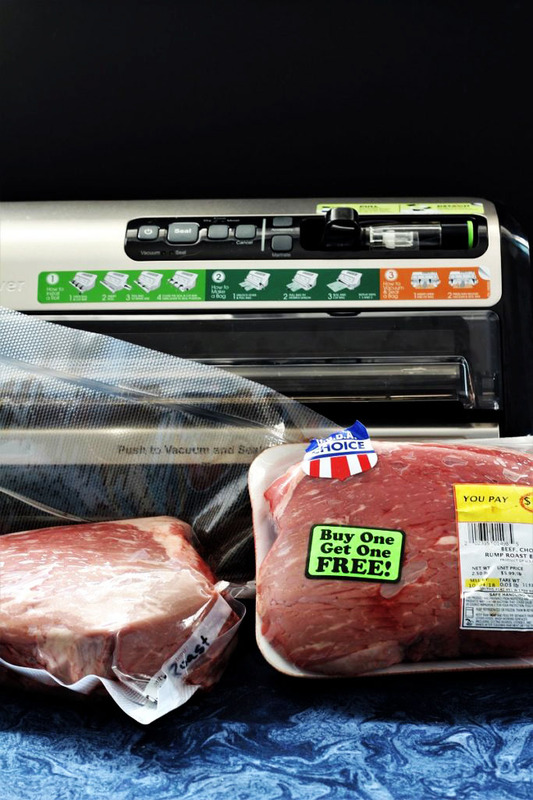 I am amazed at how well the FoodSaver® FM5200 takes the air out of the bag. The vacuum-seal bags are multi-layer, BPA-free and flexible enough to hug the food and seal effectively without gaps. Another advantage of taking all of the air out is that you can assure your meat will be cooked evenly throughout. 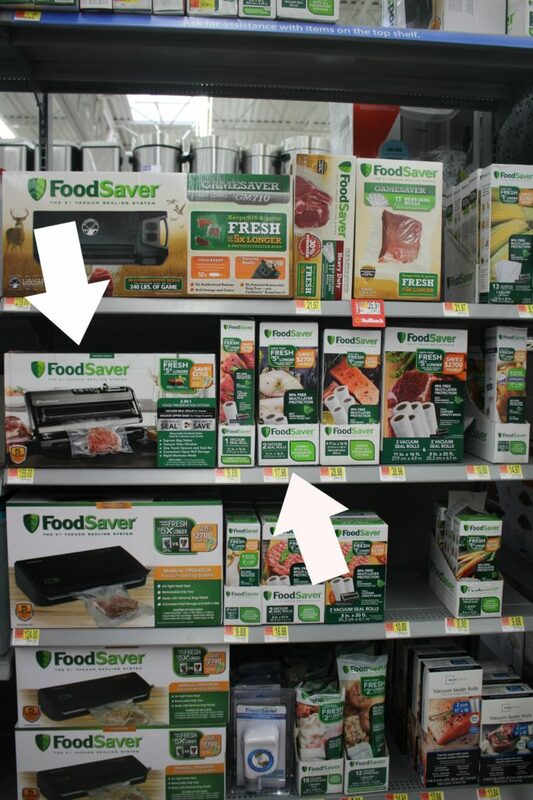 The FoodSaver® really does work as seen on TV. Honey Sesame Chicken is just one of the wonderful meals that you can make ahead of time and place in the freezer. 1- Make your bag, and write the content, date and instructions on the bag with a permanent marker. 2- Salt and pepper both sides of the chicken pieces and place them in the bag. 3- Mix together all of the other ingredients (except the onions) to make the sauce mixture. (Onions put off special gases that do not allow the bag to stay sealed properly). 4- Place the sauce mixture over the chicken. 5- Fold the bag over and place a clip on it, stand it upright and place the bag in the freezer. 6- Wait at least 24 hours, then remove the Honey sesame chicken from the freezer. 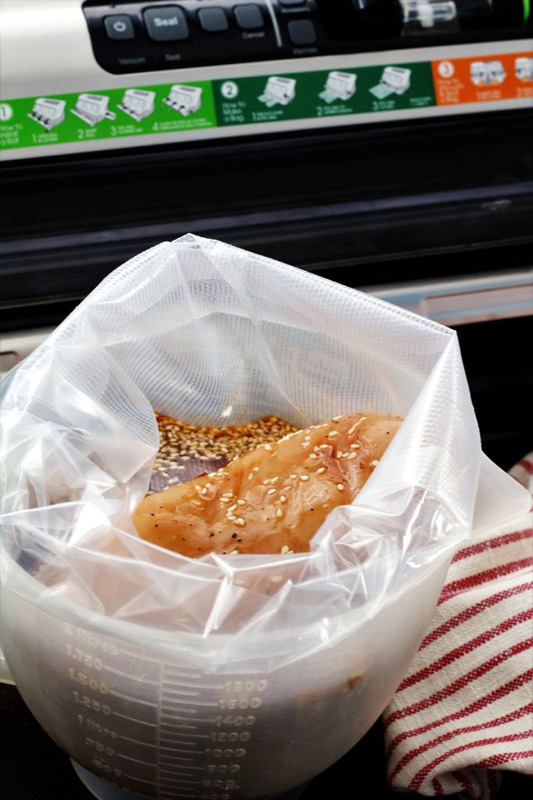 7- Turn the FoodSaver® on, make sure the setting is on liquid, place the top of the bag into the drip tray and seal the Honey Sesame Chicken. 8- Return the sealed Honey Sesame Chicken to the freezer until you are ready to use it. 9- Place in the fridge for 24 hours before cooking. 10- Cook as directed in the recipe. 1- Make four or five dinners and freeze them, then the day before you want to eat them, place one in the fridge, and then approximately 24 hours later, place them in the crock pot and let them cook. 2- Buy meat in bulk and break it down into smaller portions, seal it and freeze it. You can keep hamburger for 4 months, fresh steaks up to 12 months, lamb and pork chops up to 6 months, and roasts up to 12 months, (I was so lucky the other day; I found roasts, buy one get one free. So I stocked up and used my FoodSaver® to seal them so I could store them in the freezer). 3- One of my favorite things to do is to buy candy after the holidays and place it in my mason jars, This helps me feel less guilt when I didn’t do as much canning in the summer. That way you can fill your jars with candy. I had some candy one year and it was 1 1/2 years old. When we tasted it, I was amazed at how fresh it was. It works in a bag also, but be sure to not take too much air out that you break all your candy. Ha ha. 4- Leftovers are great to seal and send with your family for their lunches. This is the best invention EVER! 5- If you are making cookies, double the batch and freeze part of them for a later date. 6- If you have fruit, like cranberries, you can store them in a bag, seal them, and freeze them. The sky is the limit. 7- When my son was serving a mission for our church, in Africa, I would send him candy, gum, oatmeal packets and vitamins, then I would put them in the FoodSaver® bags, seal them, and ship them. They always made it safe and sound. 8- Buy trail mix, nuts, rice, oats and macaroni in bulk, or when they are on sale, and seal them to preserve them longer. 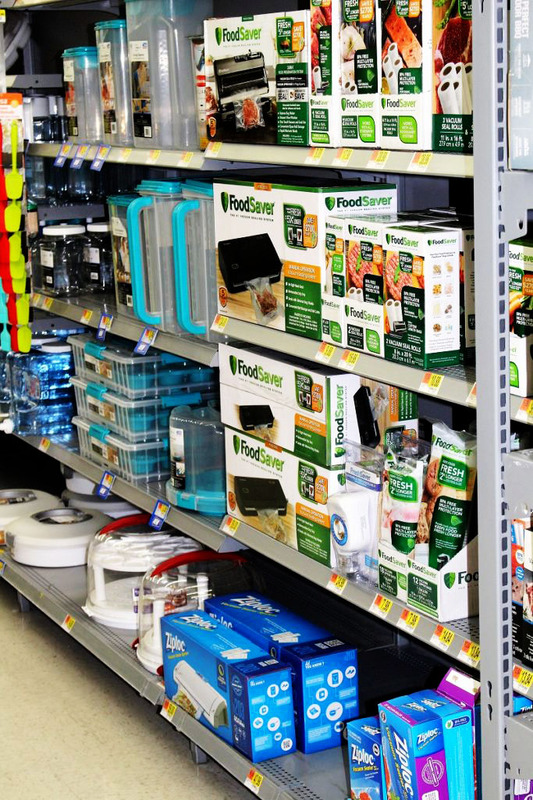 The FoodSaver® can be found in the home section at Walmart, in the food storage aisle. 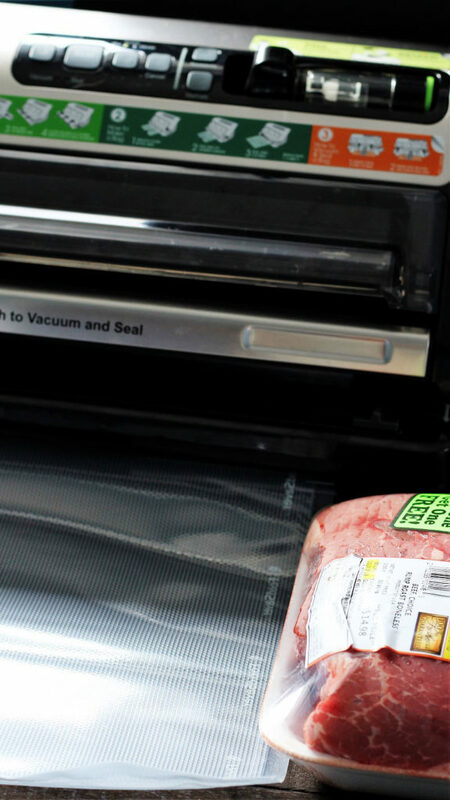 Walmart has a variety of the FoodSaver® products; however the FoodSaver® FM5200 Vacuum Sealing System was the one that I was looking for and that works best to fulfill the needs of my family. 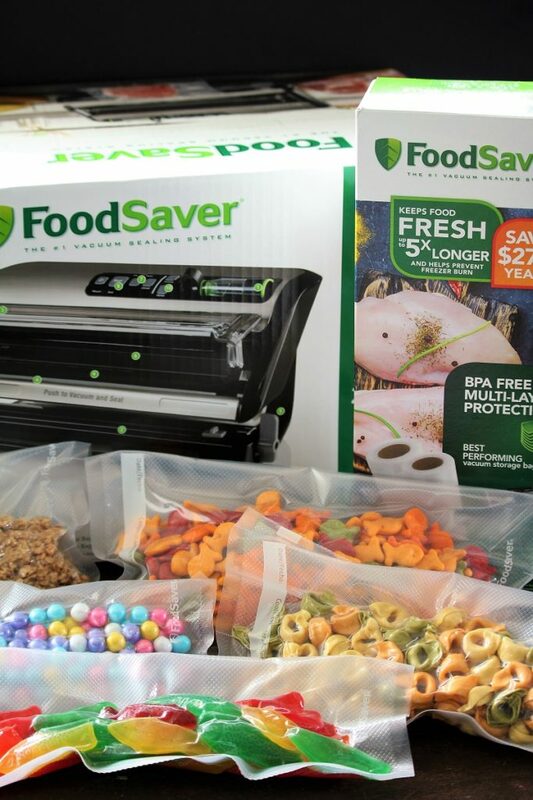 Now that I have a FoodSaver®, I have decided that this is a great idea for gifts for Christmas, birthdays, weddings, anniversaries or just because. 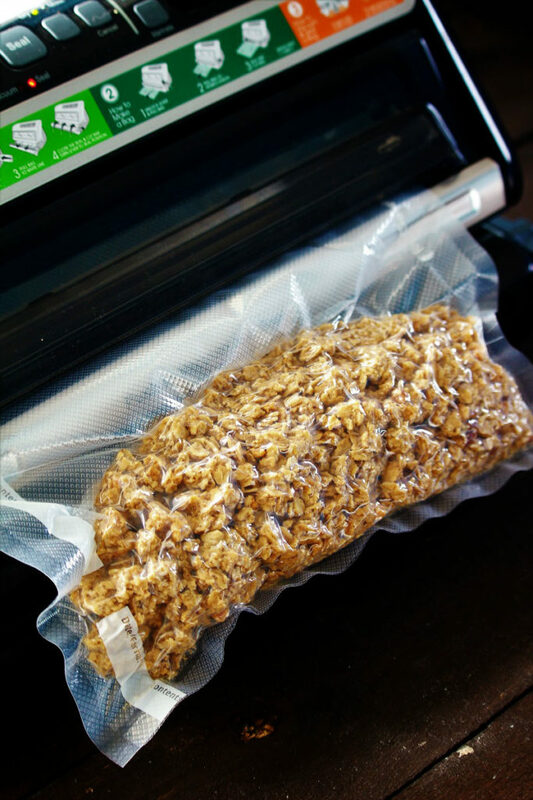 I’ve been so enthusiastic about sealing things since I got my FoodSaver® that my husband is afraid that I might package him. And let me tell you, if it would help keep us young, I just might try it. My neighbors always call me when they need something because they know that I like to have things on hand. I grew up in the country and that is how we did it. The closest grocery store was 30 minutes away and so we learned to buy things on sale or in bulk and have them on hand. That is what I like to do. So when the neighbors call, they know that they can count on me! 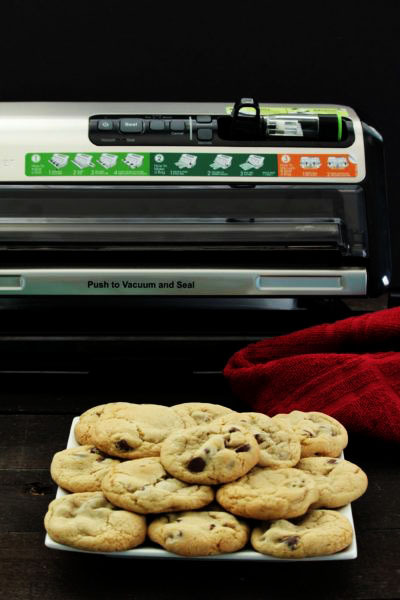 Go get yourself a FoodSaver® 5200; you will not regret it. Just think of all the money you will save. Like my mother use to tell me, waste not, want not. I have been very pleased and so happy to not be wasting good hard earned money by throwing food away. Please let me know if I can answer any questions, I would be more than happy to do so. Happy shopping and happier savings!!! *Just before cooking add ⅓ cup chopped onions or 2 Tablespoons dried onions. (Do not use the Food Saver® with onions, as they have special gases that cause problems with the sealing process). In a medium size Food Saver® bag, place the chicken that has been salted and peppered on both sides. Then in a medium bowl, place the honey, soy sauce, ketchup or BBQ sauce, olive oil, garlic powder, red pepper flakes, corn starch mixed with water for dissolving, and sesame seeds, then whisk together. Pour over the chicken that is in the Food Saver® bag. Fold the bag over and use a clip to secure the bag. Place in the freezer for at lest 24 hours. Remove the bag from the freezer and remove the clip. Place the bag in the Food Saver®, placing the bag into the drip tray. 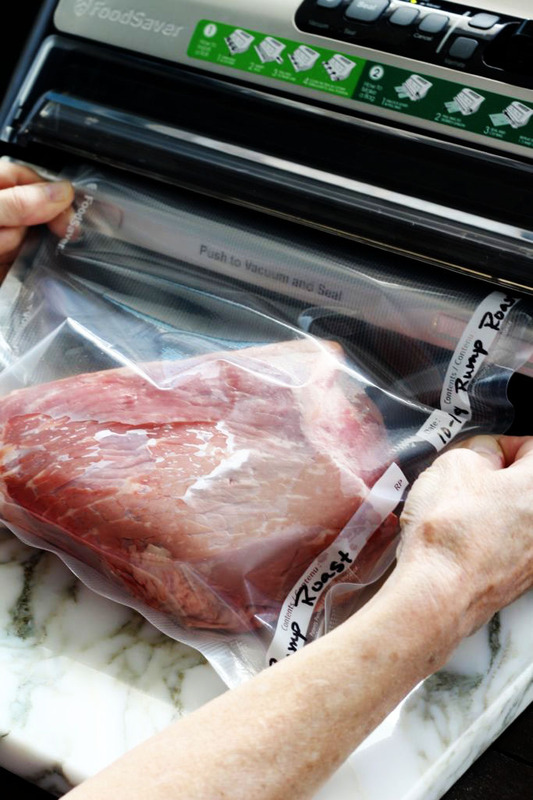 Seal the bag and place in freezer (can be stored for up to 4 - 6 months). 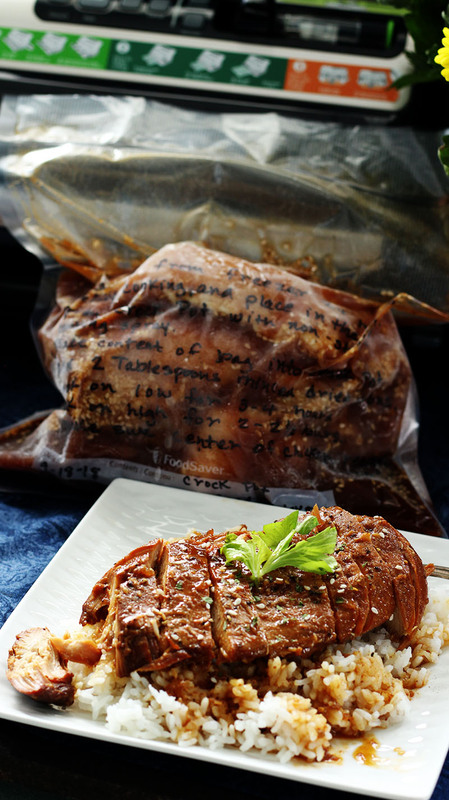 Place in the refrigerator for 24 hours before cooking. Spray the inside of a crock pot with non-stick cooking spray. Place the contents of the package into the crock pot. *Then add the fresh chopped onions or the dried minced onion. Cook on low for 3 - 4 hours, or on high for 2 - 2½ hours. Remove the chicken when the centers are done or reach 160 degrees, shred or cut chicken into cubes. Place the chicken back into the pot and stir it in with the other ingredients. Serve over rice. Garnish with more sesame seeds, and green onions if you like. I need to get me a Food Saver! I feel like we throw a lot of food away. Ughhh. But this Crockpot chicken sounds super yummy!! Yes, I am loving this foodsaver. I may have gotten a little carried away sealing things, but I think that it is going to be very useful.